A 17-year-old reputed gang member is being held without bond after he was arrested and charged as an adult this week in the shooting death of a Northside College Prep student on the Northwest Side. Luis Castejon faces a charge of first-degree murder in the Monday shooting of Emanuel Gallegos, a 17-year-old junior at one of the city’s elite public high schools. Sporting neck-length black hair and a juvenile detention jumpsuit, a Cook County judge on Thursday afternoon ordered Castejon held without bond during his initial court appearance. He did not speak during the brief hearing. The shooting occurred Monday afternoon around 5:30 p.m. in the Old Irving Park neighborhood while Gallegos was a passenger in a vehicle heading westbound on the 4400 block of West Addison Street. He and a fellow Northside student had just picked up a friend at Schurz High School. 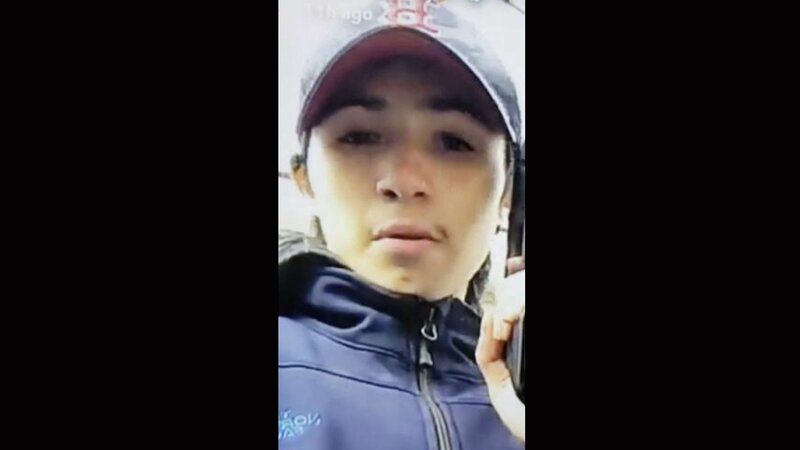 Assistant Cook County State's Attorney Jamie Santini said that person recognized Castejon, who had approached him while he waited for his ride and demanded to know his gang affiliation. As they drove away, the driver saw Castejon pull out a handgun and open fire on their vehicle, according to Santini. Gallegos was struck twice, once in the neck and again in the right torso. He was transported to Illinois Masonic Hospital where he was pronounced dead. An autopsy report showed Gallegos died of multiple gunshot wounds, and his death was classified as a homicide. Chicago detectives recovered surveillance footage of the incident as well as a Snapchat photo of Castejon holding a semi-automatic handgun with an extended clip just before the shooting, according to Santini. Prosecutors say Castejon is a member of the Spanish Four Corner Hustlers street gang. But defense attorney Rich Blass said his client has no criminal history and is set to graduate high school this year. He told reporters he is unaware of any gang affiliations Castejon may have. Gallegos’ brother and father declined comment following the hearing. Several members of Castejon's family also left the courthouse without speaking to media. A GoFundMe campaign seeking funds to assist Gallegos’ family with funeral expenses has already raised more than $30,000. If convicted, Castejon faces a possible life sentence.